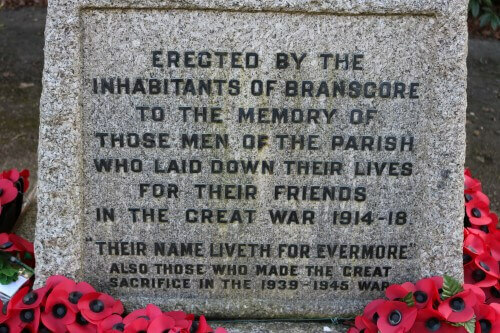 Bransgore and Thorney Hill are situated on the South West edge of the New Forest. Gypsy Travellers have camped freely here for hundreds of years on the open forest visiting seasonally and living off the open land until they were forced to either move out of the county of Hampshire or move into the compound at Thorney Hill, one of seven compounds created by Hampshire County Council in order to restrict the movement of Gypsy Travellers in Hampshire. 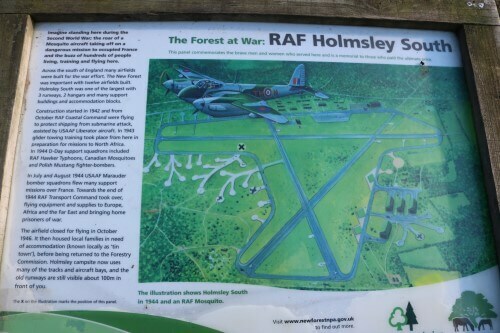 The families residing in the compound were later offered local Social Housing in Thorney Hill, Bransgore or within the local area and the compound was then closed. 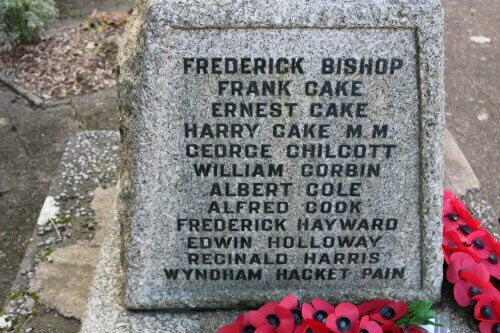 There are very few records regarding the Gypsy Travellers that fought for their country in both World Wars and their involvement is often underrepresented which is very sad as many risked their lives fighting for their country and lost their lives or were badly injured during service. 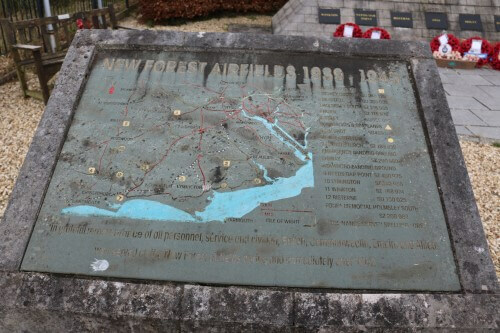 Joining the services would not have been a decision taken lightly by members of the Gypsy Traveller community as leaving their large families would be hard due to young able men having an important role within their communities and they were responsible for many day to day heavy, difficult and skilled tasks in order to provide for their families. Gypsy Travellers also regularly suffered discrimination and prejudice. 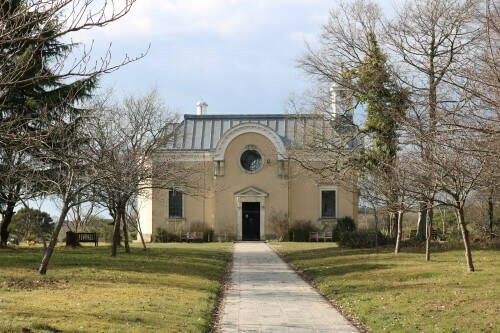 The men we have included in our research have either been known to have connections with Bransgore and Thorney Hill or are ancestors of the families that now live in the area. A lot of information mentioning local veterans can be gathered by visiting our local memorials and churches. 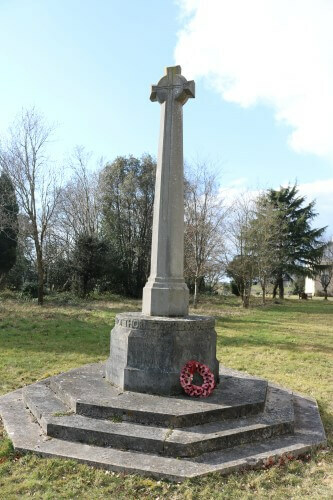 This memorial can be found in the grounds of All Saints Church, Burley Road, Thorney Hill, near Bransgore and was erected after WW1. 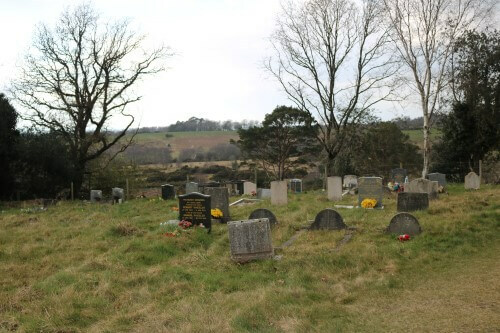 Eighteen men from Thorney Hill are remembered many from the Gypsy Traveller community. 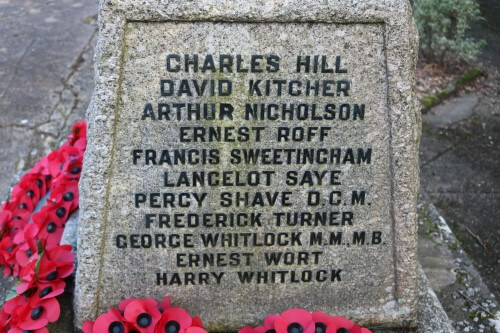 Further names were added after WW2 and these commemorate those who were sadly killed or missing whilst serving in the military during WW2. The architect of this memorial was the famous Sir Herbert Baker and it displays high quality craftsmanship. Here you will find two Commonwealth War graves from WW2 and one from WW1. 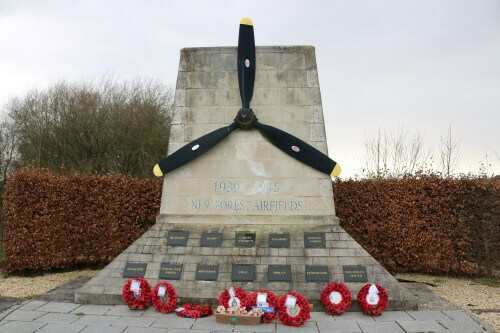 This memorial can be found at Homesley and commemorates the New Forest Airfields that were in operation during WW2 and also the people that worked there. 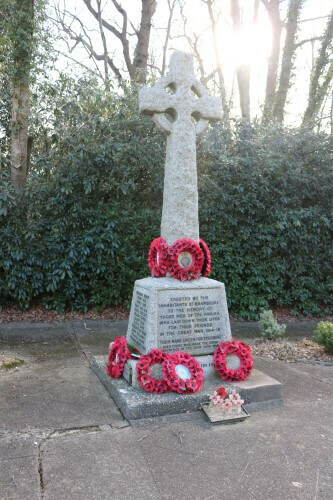 This memorial is located on the crossroads of Ringwood Road and Burley Road in Bransgore, England and comes under the New Forest District Council; it can be seen just before entering the village. 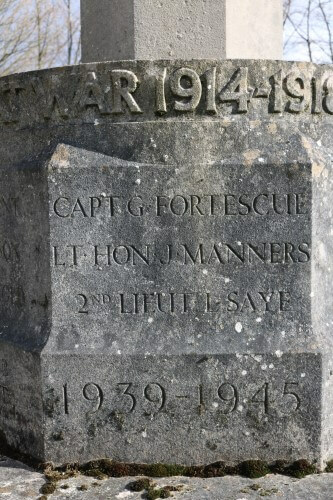 The War memorial number 21364. 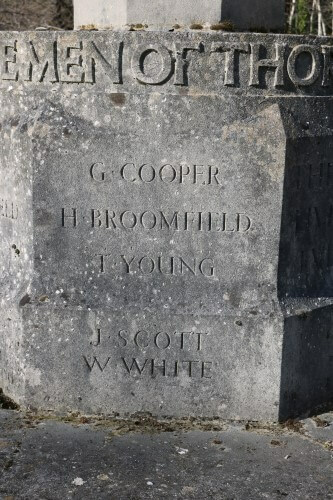 The memorial type is of a rough-hewn Celtic style cross on a squared tapered plinth with a two-step base. 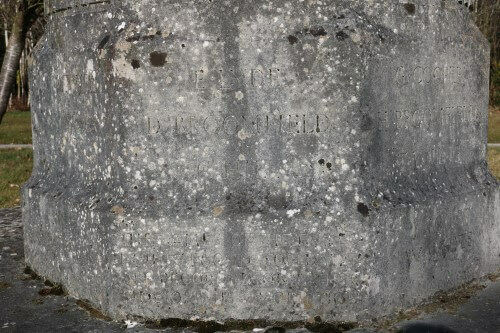 The inscription and names are in lead lettering which are on three faces of the plinth. 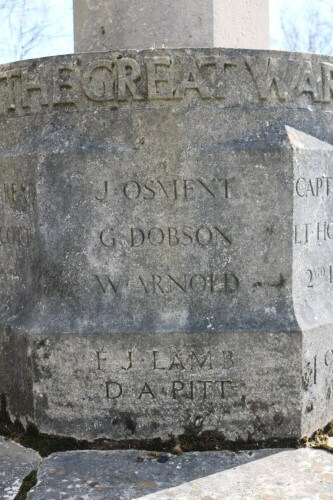 The WW2 names are on the top step of the base and the post-world war 2 inscription is on a metal plaque with black lettering which is fixed to the top step of the base. 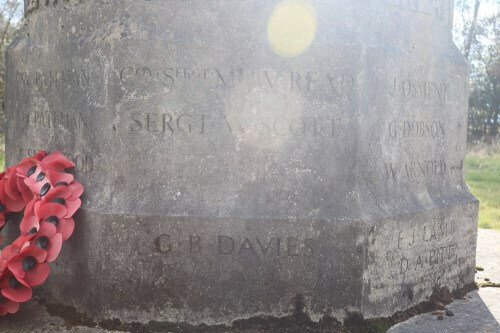 This memorial commemorates those soldiers that were either killed or were missing in World War 1 and World War 2. 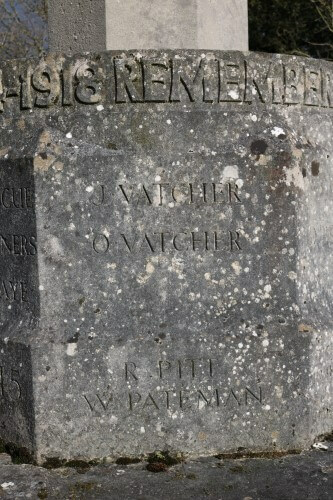 There were several that were named on this memorial who were members of the local Gypsy Traveller Community. 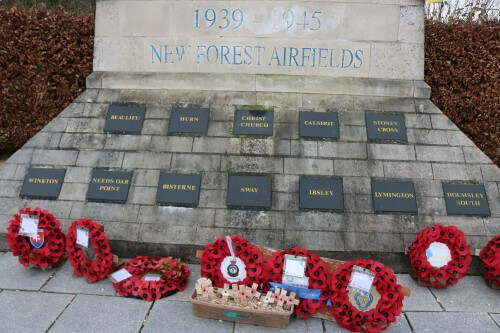 In memory of all member of H.M forces from this parish who have died serving their country from 1945 to the present day. 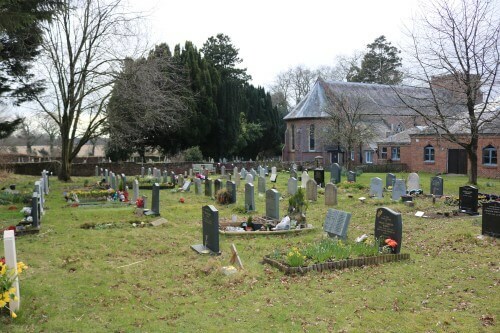 St.Mary the Virgin Churchyard, Ringwood Road, Bransgore. 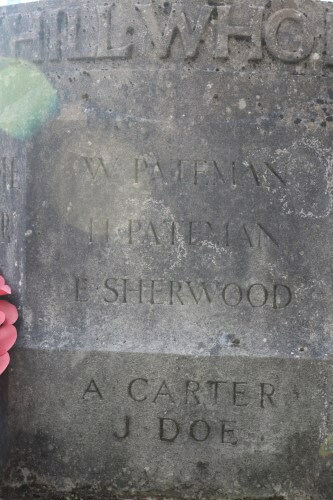 Two Commonwealth War graves from WW1 and eight from WW2 can be found on this graveyard.